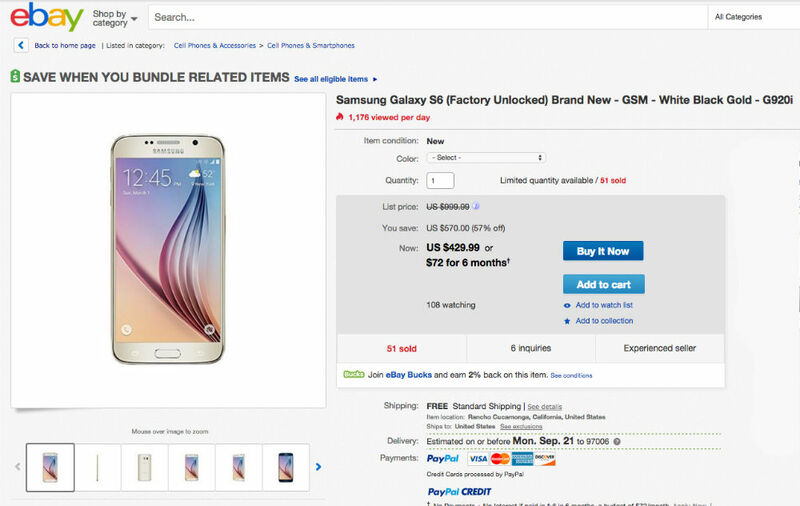 Looking for a good deal on a Galaxy S6? Currently over on eBay, you can pick up a brand new, factory unlocked Galaxy S6 (G920i model) 32GB for just $430, available in White Pearl, Black Sapphire, and Platinum Gold. This is the international unlocked model of SM-G920i and works great on either AT&T or T-Mobile. It’s an unlocked GSM phone, so don’t expect it to work on Verizon or Sprint. Considering this device launched in the $700 range a few months back, saving a few hundred on a device like this is solid. Having Issues With Your SHIELD Pro (500GB Model) After 1.4 Update?